It's been a while since I've put together a current favourites post. Unintentionally, there had been a lull in the amount of beauty buying I'd done and, apart from the usual suspects which I repeatedly rave about, I didn't try anything new that I was blown over by. 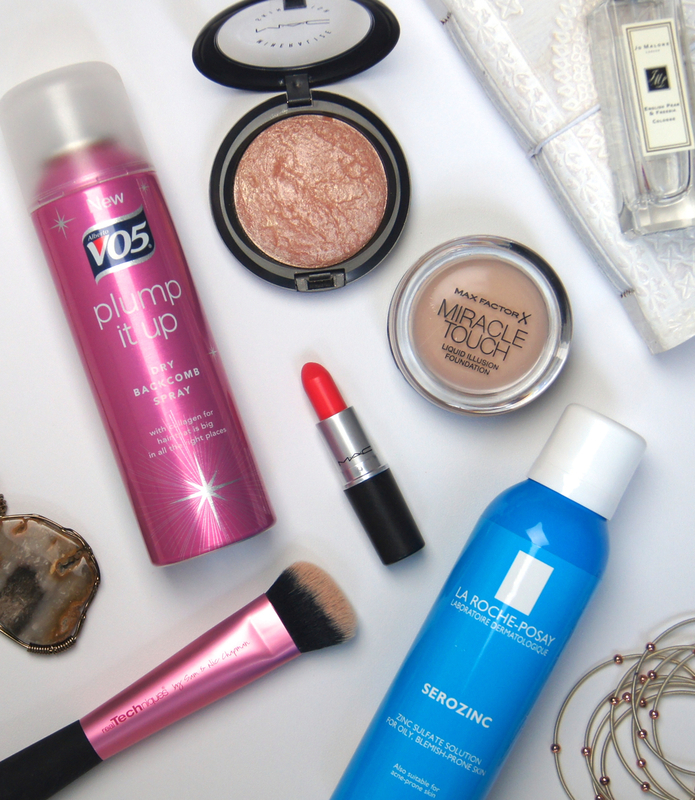 Standard procedure resumed recently, though, with my purse seeing a bit more action and my beauty drawers being raided to rediscover neglected products. 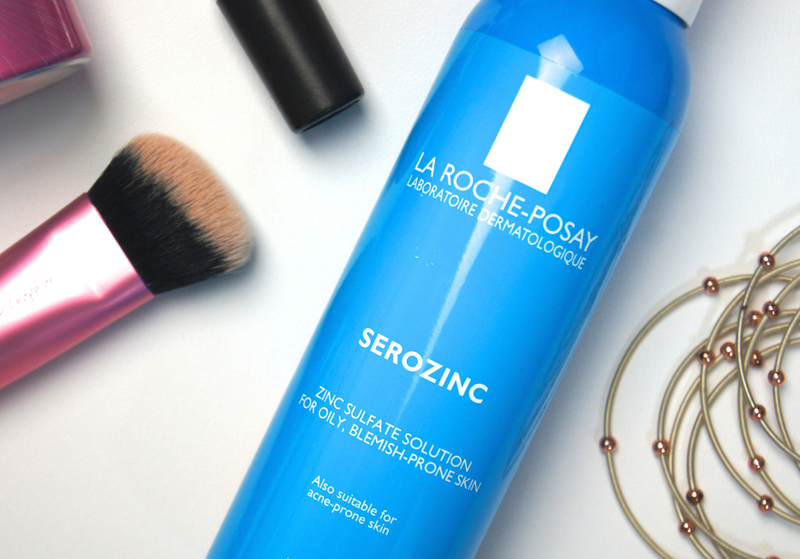 Now that La Roche-Posay Serozinc is now available in the UK and stocking up when visiting France isn't necessary, I no longer have to ration my bottles, so I've been reaching for it more often. An anti-bacterial, zinc-sulphate solution, this is a great treatment product for when skin is playing up. I'm quite lucky that the majority of blemishes that crop up on my face nowadays tend to be hormone-related, so I always have a bottle of Serozinc on hand around that time of the month. Whenever I'm experiencing a break-out, I use this as a morning toner, to speed up the healing process and help my skin to stay as clear as possible. Although it's more suited to oily, acne-prone skin-types, the gentle formula doesn't leave my drier skin feeling tight or stripped after use. Serozinc can be used as a mist, but I find the aerosol spray quite intense, so prefer to use it with a cotton pad. When it comes to makeup brushes, I never use them for what they're designed for. Take the Real Techniques Sculpting Brush, for example, which I picked up a few weeks ago. Even though the angled shape is ideal for fitting underneath the cheekbones, I've been using it to apply my tinted moisturisers and lighter foundations. The wide, slanted shape allows for a speedy application and the pointed end gets the product right into the contours of the face. As the bristles are quite densely packed, the brush doesn't work as well with heavier bases that need a lot of blending, but for a lighter formula, it buffs the product in perfectly, creating a smooth, second-skin finish. After a brief infatuation with the extortionately expensive Oribe Dry Texturising Spray, I've been trying to hunt down a cheaper alternative. As I like to use volume products on an everyday basis, repurchasing such a luxury, hair product just makes me feel too guilty. 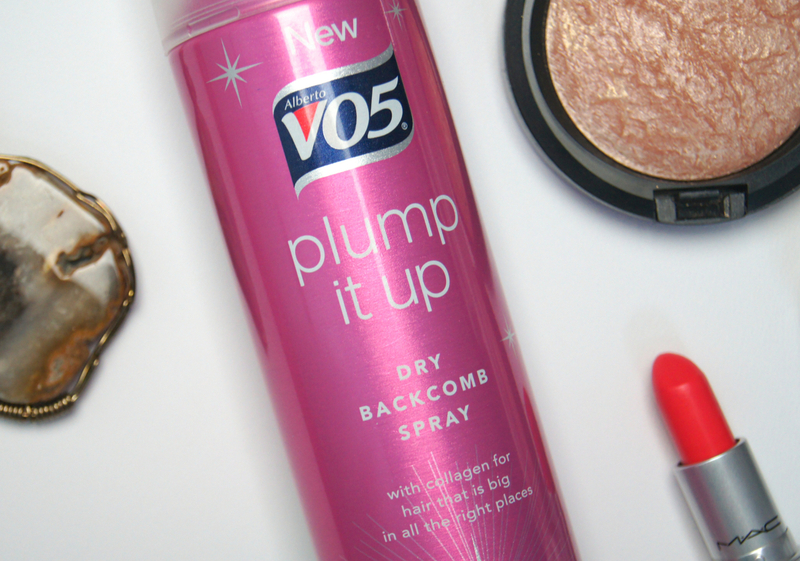 After spotting the V05 Plump It Up Backcomb Spray recently, I decided to give it a go. Now, this isn't quite as intense as Oribe's creation, but a decent spray at the roots of the hair gives your barnet a bit of oomph and extra body. Adding texture to freshly-washed, slippery strands, the spray gives the hair a bit more grip when styling, helping to hold curls, braids and buns in place for longer. Ensuring you don't hold the can too close to the head when applying, the spray won't create wet patches in the roots, like some others I've tried. Although it definitely leaves some sort of residue in the hair, it isn't at all sticky and is easy to brush out at the end of the night. When a product is featured by all the bloggers you love and trust and continues to make an appearance wherever you seem to look, you know you have to have it. If you check your makeup drawers and discover that exact product collecting dust after you've forgotten about it, that's pretty lucky. MAC's Soft & Gentle Mineralize Skinfinish is nothing new, but it's only during the past couple of months that I've been using it. As everyone says, the warm, peachy, champagne shade is just so flattering and leaves such a beautiful sheen on the face. Not for the faint-hearted, it creates quite an intense, strobing effect and can look slightly glittery if you don't tap the excess off your brush, before applying. 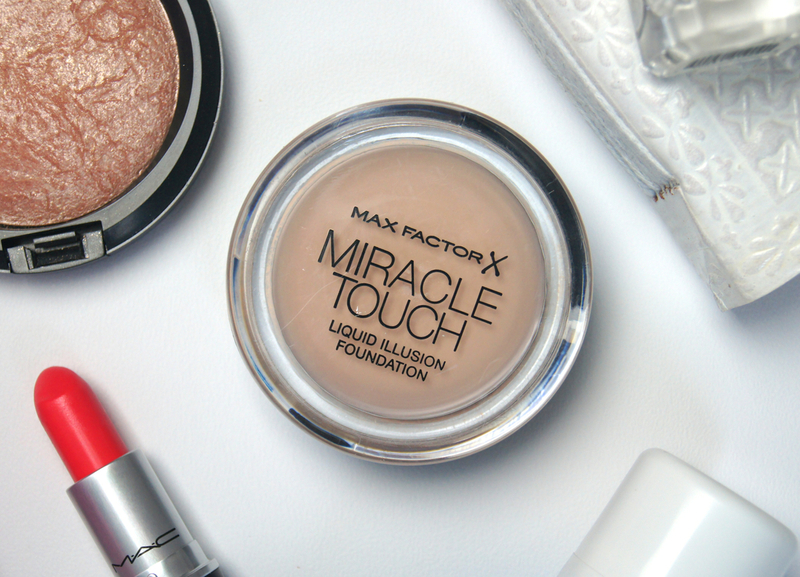 As a nostalgic nod to my high school days, I recently repurchased the MaxFactor Miracle Touch Liquid Illusion Foundation. From what I remember, this was the foundation that I continually wore throughout my late teens and, now that I've tried it again, I can see why I stuck with it. 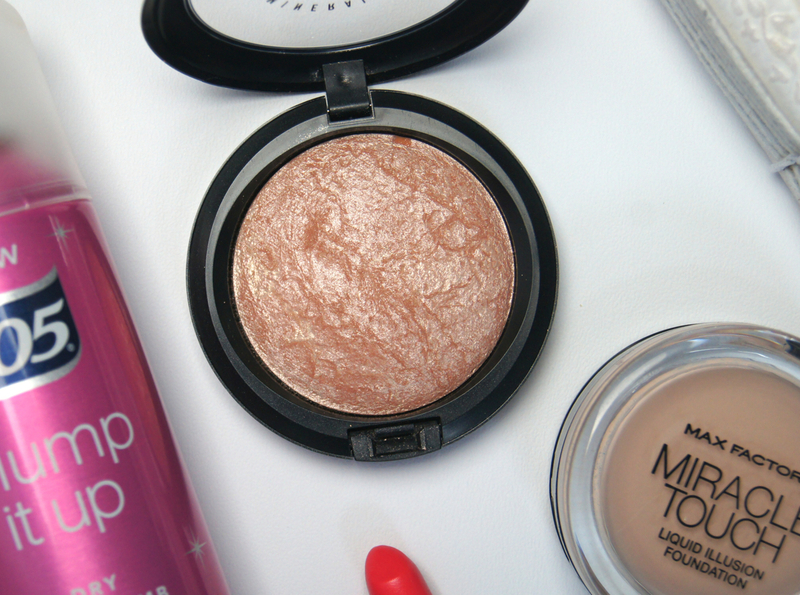 I don't often use solid formulas, but this one is so creamy and just melts onto the skin. Quick to apply with either a brush or fingers, this foundation takes seconds to blend seamlessly, to create a natural, second-skin finish. Depending on how much you apply, the coverage is medium to full and can be layered, without becoming heavy. The finish is ideal for me, being satiny smooth and not too dewy, but not completely matte. With a dusting of powder across my T-zone, this foundation lasts all day. During A/W, I'm sure this will be a staple in my makeup bag, to give me that velvety skin that is always a big trend of the season. MAC's Impassioned Lipstick is just the ultimate, summer shade. A neon pink with orange undertones, it's such a bright, happy colour that instantly perks up the complexion and transforms any outfit. For the past, few weeks, I've been reaching for this lipstick non-stop, squeezing it into my makeup looks as much as possible whilst we're seeing some sunshine. Scrapping a lipliner, I've been swiping it on alone, pairing the lipstick with a light, glowing base and a simple slick of mascara. Having an amplified creme formula, the texture is creamy and gives a satin finish, which can be off-putting when wearing such a bold shade. Fortunately, as the pigmentation is so strong, the colour stains the lips and makes it long-lasting. I tend to apply once, blot off the excess and then dab some more over the top, to really seal the colour into place. If anything, you'll be struggling to remove it at the end of the day. Discovered any new products that you love, recently? I've just bought Serozinc, and so far I really love it, it's doing wonders for my oily skin. I love using it in the mornings before my makeup. Great Pictures! I seriously want to raid your make up stash, I bet it is full of amazing things.